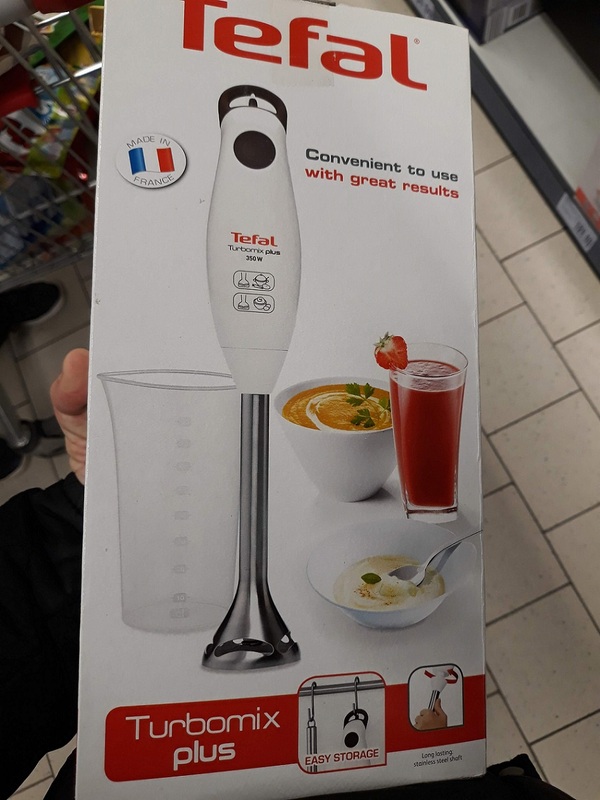 Tefal Turbomix Plus HB1011 is the entry-level hand blender from the popular kitchen appliance manufacturer. It is perfect for preparing homemade soups, sauces, juices in one click of a button, the only one the Turbomix Plus HB1011 has the on/off button with one speed setting. The foot is entirely made of stainless steel so it is safe to use in hot dishes and it is going to last after many washes. 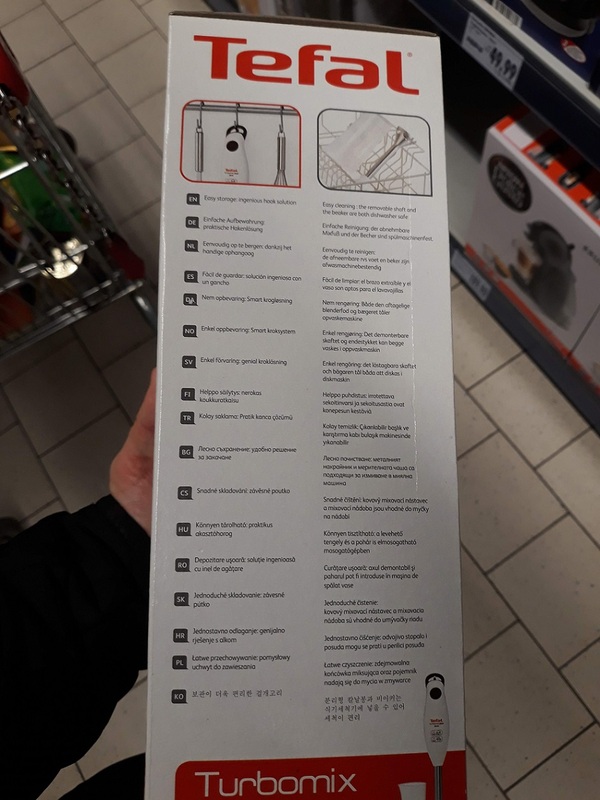 Some parts of the Tefal Turbomix Plus HB1011 are also dishwasher friendly. 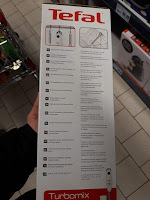 Tefal Turbomix Plus HB1011 doesn't come with additional tools like whisk or chopper (I consider this a big disadvantage. 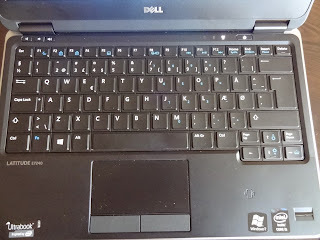 For that reason I would recommend the much more versatile and of course more expensive Tefal Infiny Force blander which has all kids of add-ons and accessories. Other than that is one very easy to use and reliable hand blender. Both these blenders come with a free recepie book in the box. 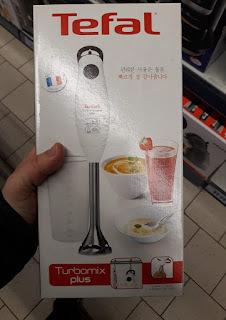 Tefal Turbomix Plus HB1011 costs around 30 Euro ($35). 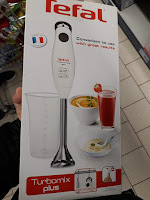 Thanks for checking my quick review of the Tefal Turbomix Plus HB1011 hand blender, I hope you found the information useful. I would also recommend you to check the cheap Star-Light HBSG 4 750W combo hand blender.